The first appearance of the Inhumans. Johnny Storm meets a beautiful young woman with elemental powers...and a teleporting bulldog! Meet Crystal's super powered clan of the Inhuman Royal Family, and witness a remarkable alliance for the Fantastic Four! Triton emerges from the Pacific bearing bad news for the Avengers- Black Bolt's mad brother Maximus has seized control of the Inhuman's Hidden City! A mutinous Inhuman faction takes on Earth's Mightiest Heroes. The Fantastic Four are summoned to Attilan in shackles, anticipating a less-than-pleasant audience with Black Bolt. What have the Fantastic Four done to anger their former allies? And will Johnny Storm choose Inhuman love over family? Writer Paul Jenkins teams-up with artist Jae Lee in this surreal and nuanced take on the Inhumans. In the first issue, Black Bolt faces internal conflict over his growing power. An acclaimed series that depicts life on Attilan for the earth-bound reader. The Kree Empire overextends its imperial reach, and the Inhumans suffer. Royal drama abounds as Black Bolt loses his kingship. The intermingled history of the Kree and Inhumans revealed! Governed by evolution, the Inhumans regard Terrigenesis as the height of divine science. An inside glance into the transformation that centuries of Inhumans have undergone, and will continue to undergo. Quicksilver, former husband of Crystal, returns to Attilan following grave injuries. Powerless and suicidal, the ex-mutant craves the mutagenic mist central to Inhuman life. Quicksilver undergoes Terrigenesis, and the outcome is terrifying. Fallout from Son of M. Following Quicksilver's theft, Black Bolt declares war against humanity! The Inhumans' mistrust of mankind plays out to a tune of destruction. Can Earth's heroes defend the planet from Black Bolt's forces? The Inhumans refuse to embrace the "change" that the Skrull Empire promises. 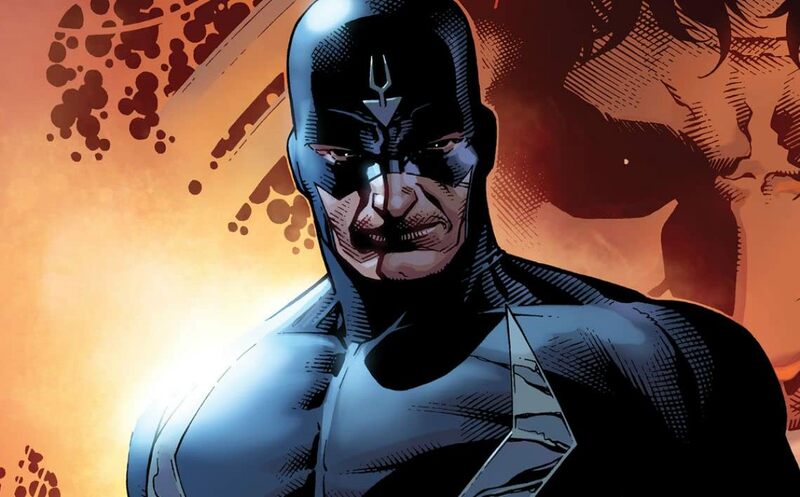 Black Bolt, King of the Inhumans, replaced by a Skrull imposter! The Inhumans' battle against the shapeshifting Skrull begins here! In War of Kings, Marvel's most powerful cosmic characters battle for control of the universe. With a single word, Black Bolt eliminates despotic Shi'ar forces. For King Black Bolt, some things are truly better left unsaid. Political alliances are forged and broken, as Marvel's alien races struggle for galactic peace. Princess Crystal is married to Ronan the Accuser as a ceasefire between Kree and Inhuman. But when Shi'ar forces crash the royal wedding, the War of Kings begins! The Marvel Universe awakens to Inhumanity. Attilan hurtles towards Earth leaving a path of devastation in its wake. Strange chrysalises appear housing those who once were human. Karnak takes desperate measures to ensure the survival of his race. Mysterious clouds of Terrigen Mist have unleashed themselves on Earth's populace. Witness the Inhuman transformations of those selected to be the next wave of humanity. Can Medusa, Queen of the Inhumans, maintain order in the face of worldwide change?